Probably inspired by the cohesive physical structure of gummy bears, Gummy Bear implants apply the same rule of remaining “stuck together” although it’s been cut up into pieces. This is very much unlike saline or liquid-filled implants, where a small cut can cause the liquid inside to leak and the implants to deflate. The main difference Gummy Bears have with other implants like saline and silicone gel is the way they’re formed. Saline and silicone implants are mainly made out of liquid that is held together with a coating that’s usually made out of silicone. Gummy Bear implants are a popular choice for women because out of the three, it produces the most natural look. Some women who had saline implants even decide to exchange them for Gummy Bears when it’s allowed or appropriate. Like other breast implants, Gummy Bears can also be used to restore a woman’s breast size and shape, which might have dropped due to pregnancy or significant weight loss. Gummy Bears also help tons for women with small breasts and for women who have significantly disproportionate breasts. Gummy Bear implants have a few benefits which aren’t present in the older types of breast implants. Of course, this is probably expected since it is the newest type of implants that are available in clinics. Gummy Bears are semi-solid and are more cohesive than other implants, which are made out of a bag that is filled with a saline or silicone gel liquid. This means there are little to no chances of the implants rupturing or leaking. Basically, there’s nothing to leak for these types of implants since they’re not made out of liquid. Aside from looking more natural, Gummy Bears also feel more natural than other types of breast implants. Its teardrop shape follows the natural slope of the breasts and widens as it goes down, making the bottom of the breasts look fuller naturally. Also due to its firmness, the feel is more closely similar to natural breasts compared to saline and silicone gel implants. Since Gummy Bears are less likely to rupture and leak, surgeons also believe that this type of breast implants are a safer option than other implants. Although the sayings that breast implants (especially leaking ones) cause breast cancer are said to be false, it’s better to be safe than sorry. Westchester, New York is one of the many cities in the United States with clinics that offer quality breast augmentation and Gummy Bear implant surgery. It’s rare to find a clinic that doesn’t have Gummy Bears available since lately, these types of implants are growing in demand. 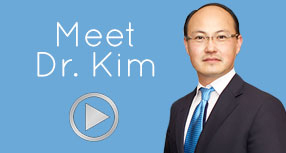 One of the best cosmetic surgeons you can find in Westchester, New York is Dr. Chang Soo Kim from Bellava MedAesthetics & Plastic Surgery Center. 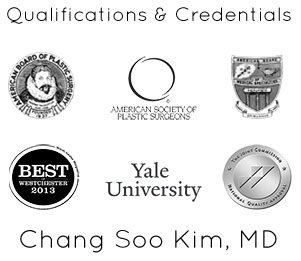 Dr. Kim is a board-certified cosmetic surgeon who graduated from Yale University, where he received several prestigious awards and scholarships. Some of these awards and scholarships include Yale Plastic Surgery Scholastic Award and American Association One Year Medical Student Fellowship. Therefore, if you’re looking for natural and safe breast implants, then consider having Gummy Bears from Dr. Kim. Just remember all these tips and the important notes mentioned here so you can be fully prepared for the surgery!